I work for Imagine an arts and crafts distributor who distributes ink pads and other art materials from Tsukineko (moon cat) based in Tokyo, Japan. Tsukineko’s products are sold to Amazon, Joann Fabric and Craft Stores, Michaels Crafts, and Paper Source. Some of the ink pad brands such as VersaMark, and VersaFine are some of the best inks on the market for stamping, card making and small area printing. 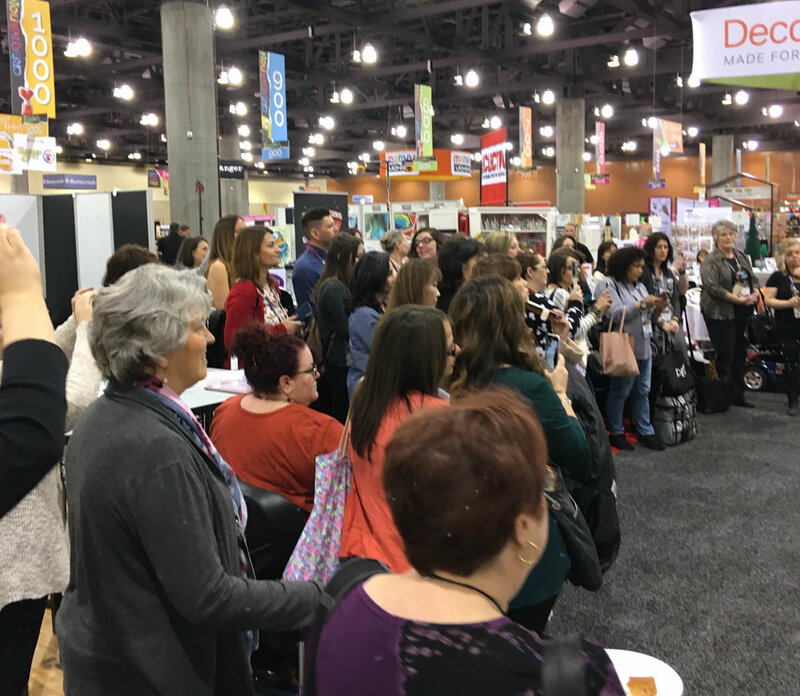 Every year Imagine attends Creativation a trade show for creative arts that enables us to get in front of small business owners and network with buyers from companies mentioned above. I thought I would do a quick blog post to show some of the my favorites from the show. New line of white opaque India ink in different nib sizes. This is the company I work for and it is cool to have some of my packaging designs and art samples featured for people to interact with. Super fun!